Area: 513 sq km.Location: This is the northern end of the Valhalla Ranges. Nakusp is at the NW end of the Ruby Range, New Denver is to the east across the upper end of Slocan Lake. 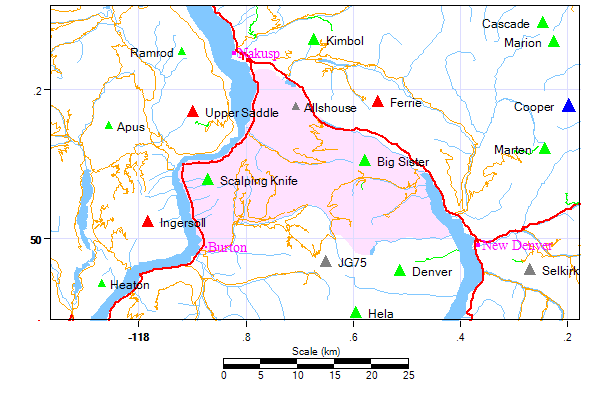 The southern boundaries of the Ruby Range are Caribou Creek and Wee Sandy Creek; Bonanza Creek and Nakusp Creek are the northern boundary.